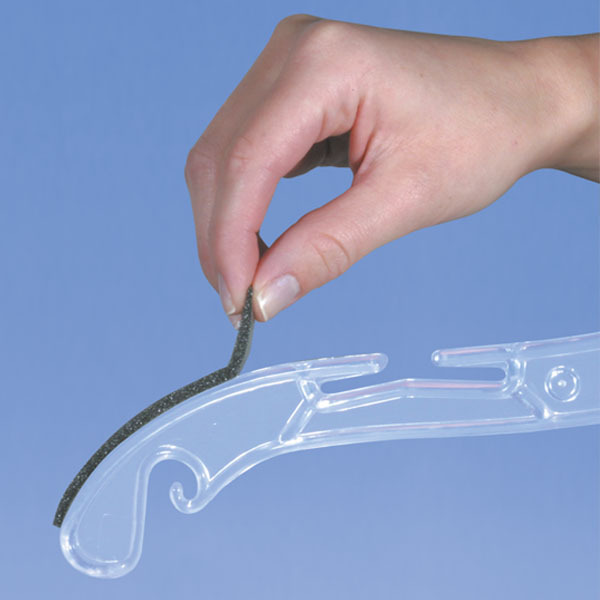 Foam hanger cover strips prevent garments from slipping off hanger. Just peel off backing and affix to hanger. For use on light to medium weight garments.